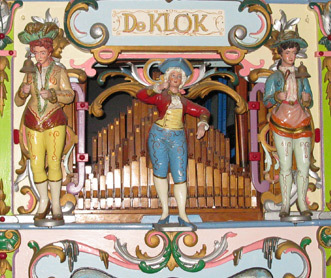 Probably the most famous maker and voicer of organ pipes was Carl Frei and he was responsible for the organ known as "De Klok". 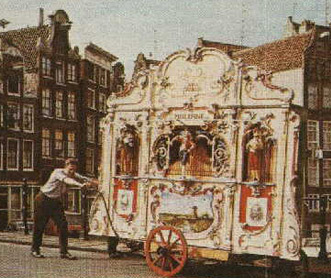 Originally built in the early 1920’s, it worked for many years in Amsterdam playing outside the Stock Exchange and surrounding areas. 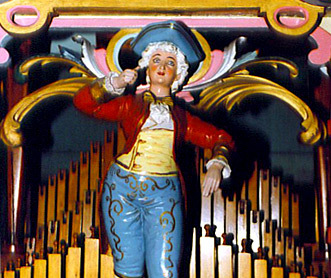 Its sweet music is still spoken about and it is probably the first commercially recorded organ. It is the most travelled, having been through Europe, Africa, Indonesia, North and South America and Australia due in part to the involvement of KLM Airways.. 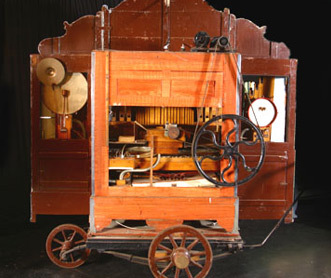 The Klok is on its original three-wheeled timber trailer and has four bell ringers plus a conductor that like the pipes, are activated by programmed cardboard passing through the back. 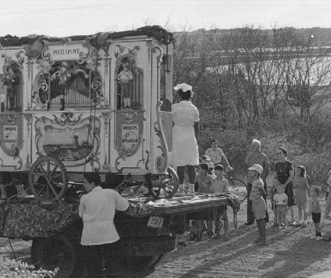 It is an original condition and its patina speaks of its age and travels. 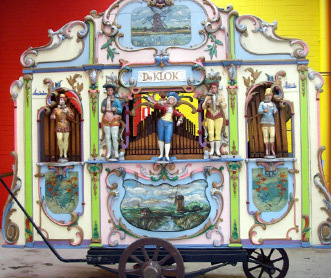 Whilst on one of our tours, you will have the opportunity to participate in hand-cranking this machine.